As many of you may already know, Google recently launched their new Local Carousel. This carousel appears above the fold and displays 8-10 business listings (depending on the size of your screen) based on your search. 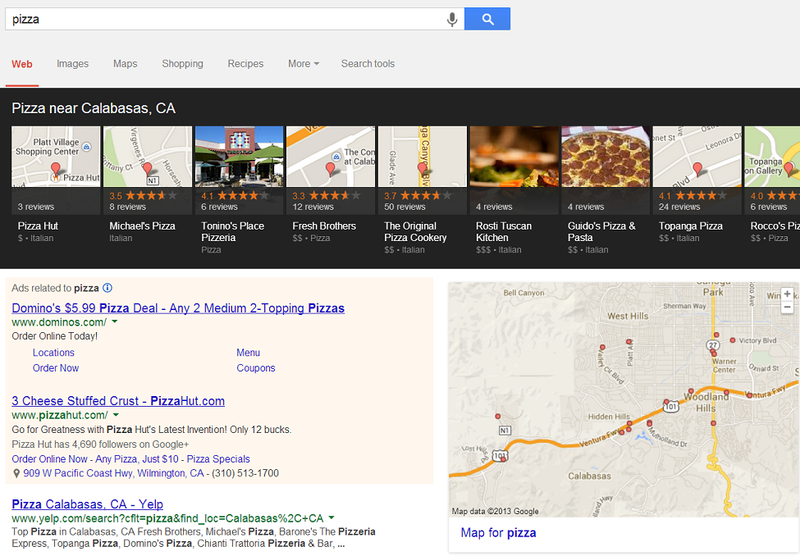 Screenshot of carousel listings for the search term “pizza”. – Based on an extensive study from Digital Marketing Works (DMW), the quality and quantity of Google reviews may be the single most important variable in determining inclusion and ranking. – The images that appear in the carousel (should your business appear there) are largely determined by the photos that you add to your Google+ Local business listing. If you have not added any good quality photos, the photos that appear for your business may be the ones that patrons have uploaded while visiting your business. Some examples here. – According to Google, this new carousel is geared towards “local dining, nightlife, hotels, and other attractions on desktop”. So what if your business doesn’t fall into any of those categories? Google states, “We’re committed to providing users a high quality search experience for every query. The carousel filtering experience is a good fit for some categories of local businesses. We will continue to experiment with different designs and interfaces to make sure that users get the information they’re looking for, fast.” Here are 54 keywords that seem to be triggering the Google Local Carousel so far. – According to a study using Usabilityhub’s clicktest product, when 102 respondents were given the prompt: You are searching for a nearby pizza place. Where do you click?, most people tended to click on the map instead of the carousel. See image below. What are your thoughts on the new Google Carousel? Do you think it’s helpful in narrowing down your search? If so, how? Let us know in the comments below!